Barbershop harmony can be experienced as an entire chorus, or in smaller groups of four -quartets! Members are encouraged to form quartets, as regular quartetting helps to improve the skill levels of individual chorus singers. Quartetting is a challenging, immensely rewarding experience. 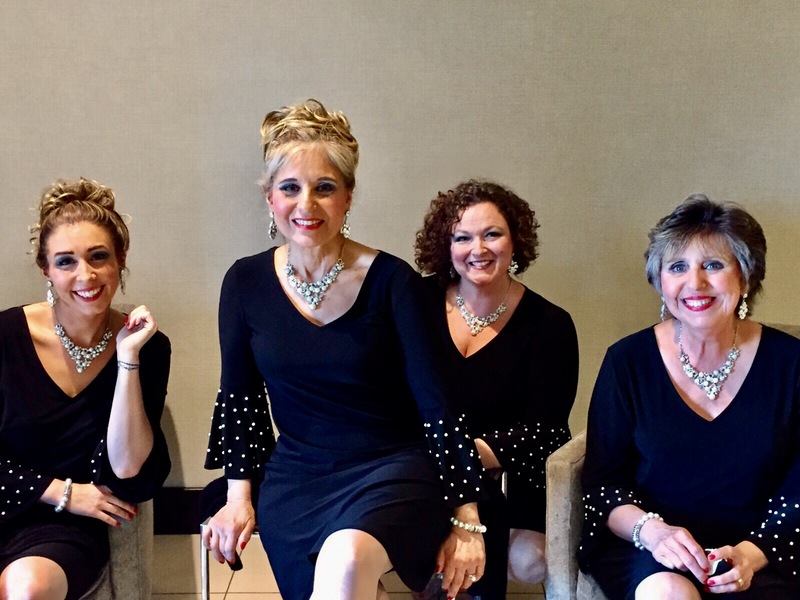 Meet the quartets from the Golden Apple Chorus!